Catchy and appealing websites grab the user attention in one go and in the present scenario, it is really important to develop attractive websites. As there is already a huge influx of websites over the internet, a website should be discernable from the rest in order to grab maximum internet traffic. Web designing is concerned with all the functions that are related to the development of a business website. A website should have a user interface and thus, web designing places all the relevant information over the portal, such that it is understandable by the internet users. Uniqueness is always admired by the users and so new innovative features should be incorporated to offer an altogether different presentation to the website. Professional website designers can make your business operate at a different level and at Gcreationz we have an efficient team of professional experts who make use of latest technical tools like HTML5 and CSS3 for an earmarked designing service. Enhance business performance enabling it to compete on a global platform. 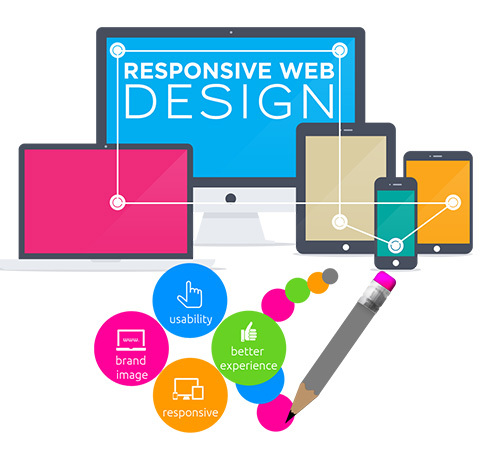 Responsive website designing with multimedia features. Optimal use of window size for placing the content. Thorough discussion and analysis with the clients in order to explore business prospects. Scalable and straightforward technical solutions. Search engine optimization of the developed websites.